In this activity, students construct a scale model of the solar system using a tape measure or a very long roll of paper. 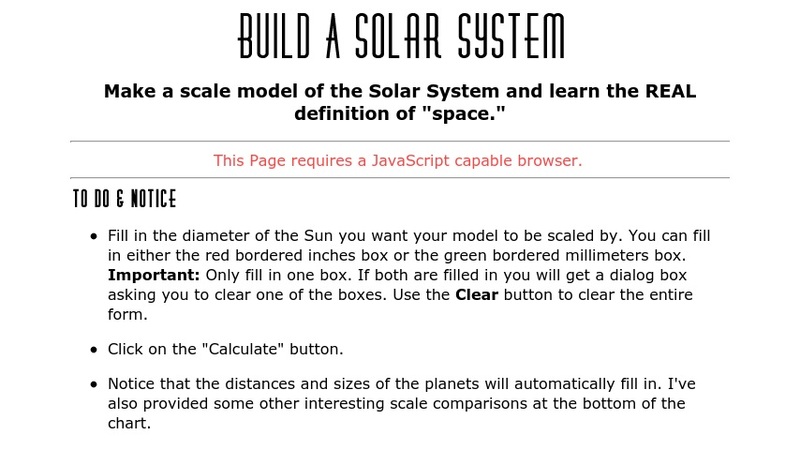 A calculation tool is provided to determine the correct scaled distances and planet sizes. A brief discussion of the concept of the vast distances of space is included, along with links to other solar system resources.